What is the Best Decision When Considering Reaffirming a Mortgage in Bankruptcy? A bankruptcy debtor in Wyoming should use caution before signing an agreement to reaffirm a mortgage note. Reaffirmation agreements in bankruptcy prevent the note from being discharged. As a result, if the debtor at a later time, defaults and the home is foreclosed, the previous reaffirmation of the note means the debtor is responsible for paying the deficiency, which is the difference between the loan balance, fees, expenses and penalties, and the foreclosure sale price. But if there was no reaffirmation of the mortgage note, the debtor is not responsible for paying the deficiency after a foreclosure, since the note was discharged in the bankruptcy. 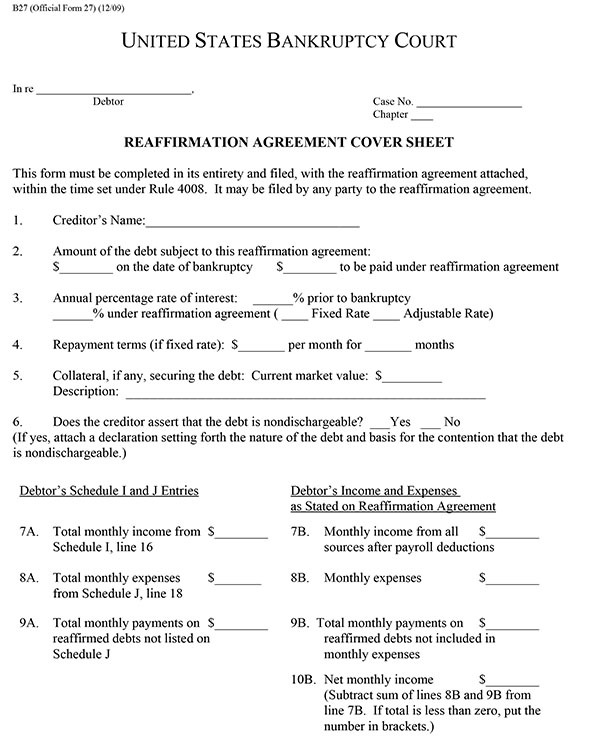 Importantly, even though the note is discharged when no reaffirmation is signed, the debtor may continue to live in the residence and make mortgage payments, since Wyoming state laws protect Wyoming homeowners who continue to make voluntary mortgage payments without reaffirming, so long as payments are current. Also, the debtor continues to own the residence and may sell it, subject to the mortgage lien in the amount of the discharged note, at a future date, even though the mortgage note was not reaffirmed. The mortgage, by its nature, creates a security interest, which remains valid even if the borrower does not reaffirm the note. So why would a Wyoming bankruptcy debtor reaffirm? The most common reason given is that reaffirming a mortgage note will result in the mortgage payments being reported to the credit reporting agencies. This is certainly true, but, in contrast, mortgage payments on a discharged note will not result in any payments, whether even if missed or late, being reported to the credit reporting agencies. Reporting timely mortgage payments to the credit reporting agencies will improve credit scores and help with qualifying for future loans. But the mortgage service will report all information, good and bad, which might lower a credit score or derail a future loan application. If the borrower makes a late payment on a reaffirmed mortgage note, it will have a substantial negative effect on the credit score. But if the borrower has not reaffirmed, then the borrower can make the payment late, miss a payment, catch up payment, pay whatever late fees accrue, without risking a negative information showing up on the credit report. It is not recommended that just because a note is discharged, the borrower lightly allow payments to be late or missed due to late payment penalties and the possibility of a foreclosure, albeit a foreclosure without risk of a deficiency judgment. Another consideration is that the credit score and loan qualification are directly and substantially related to the total amount of unpaid debt, which also affects the loan-to-income ratio. A discharged mortgage note decreases total debt and reduces the loan-to-income ratio will improve your chances of successfully applying for a future loan.